Editor’s note: C. S. Lewis was arguably the 20th century’s most influential Christian writer. Today’s selection is from his classic work Mere Christianity and is featured in The C.S. 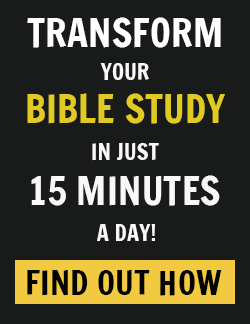 Lewis Bible as a devotional reading within the book of Mark. 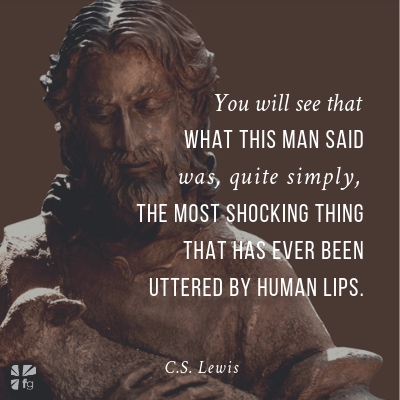 Enjoy this reading, which highlights one of Lewis’s most thought-provoking apologetic insights… and learn more about The C.S. 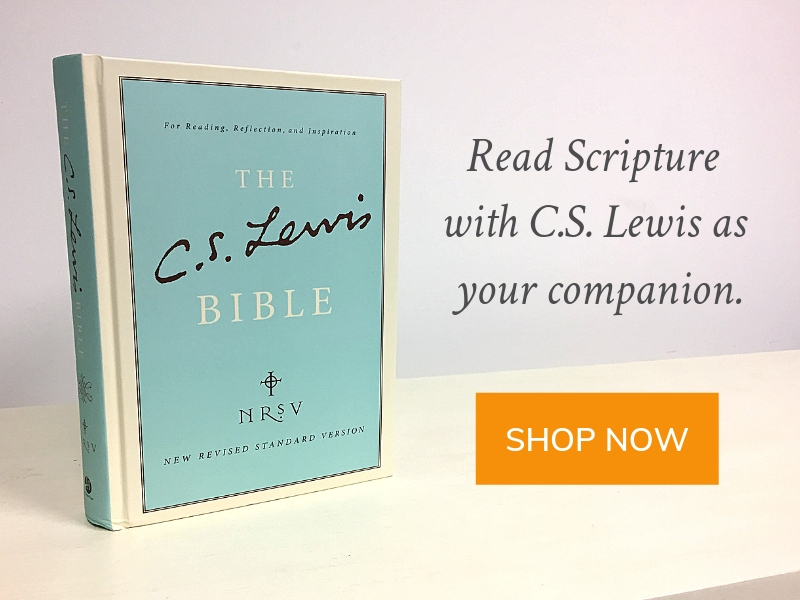 Lewis Bible, which features more than 600 selections from Lewis’s work for contemplation and devotional reading. Among these Jews there suddenly turns up a man who goes about talking as if He was God. He claims to forgive sins. He says He has always existed. He says He is coming to judge the world at the end of time. Now let us get this clear. Among Pantheists, like the Indians, anyone might say that he was a part of God, or one with God: there would be nothing very odd about it. But this man, since He was a Jew, could not mean that kind of God. God, in their language, meant the Being outside the world, who had made it and was infinitely different from anything else. And when you have grasped that, you will see that what this man said was, quite simply, the most shocking thing that has ever been uttered by human lips. One part of the claim tends to slip past us unnoticed because we have heard it so often that we no longer see what it amounts to. I mean the claim to forgive sins: any sins. Now unless the speaker is God, this is really so preposterous as to be comic. We can all understand how a man forgives offences against himself. You tread on my toes and I forgive you, you steal my money and I forgive you. But what should we make of a man, himself unrobbed and untrodden on, who announces that he forgave you for treading on other men’s toes and stealing other men’s money? Asinine fatuity is the kindest description we should give of his conduct. Yet this is what Jesus did. He told people that their sins were forgiven, and never waited to consult all the other people whom their sins had undoubtedly injured. He unhesitatingly behaved as if He was the party chiefly concerned, the person chiefly offended in all offences. This makes sense only if He really was the God whose laws are broken and whose love is wounded in every sin. In the mouth of any speaker who is not God, these words would imply what I can only regard as silliness and conceit unrivalled by any other character in history. Yet (an this is the strange, significant thing) even His enemies, when they read the Gospels, do not usually get the impression of silliness and conceit. Still less do unprejudiced readers. Christ says that He is “humble and meek” and we believe Him; not noticing that, if He were merely a man, humility and meekness are the very last characteristics we could attribute to some of His sayings. I am trying here to prevent anyone saying the really foolish thing that people often say about Him: “I’m ready to accept Jesus as a great moral teacher, but I don’t accept His claim to be God.” That is the one thing we must not say. A man who was merely a man and said the sort of things Jesus said would not be a great moral teacher. He would either be a lunatic–on a level with the man who says he is a poached egg–or else he would be the Devil of Hell. You must make your choice. Either this man was, and is, the Son of God: or else a madman or something worse. You can shut Him up for a fool, you can spit at Him and kill Him as a demon, or you can fall at His feet and call Him Lord and God. But let us not come with any patronising nonsense about His being a great human teacher. He has not left that open to us. He did not intend to. Excerpted with permission from Mere Christianity by C.S. Lewis and featured in The C.S. Lewis Bible. Copyright C.S. Lewis. 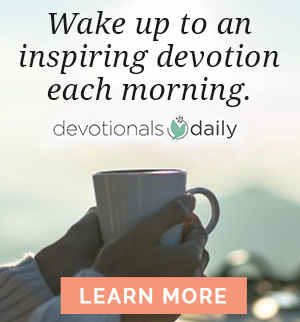 How do Lewis’s insights encourage you? Challenge you? We’d love to hear your thoughts in the comments!